The mission of Love Care & Share is to support distressed individuals and families in their time of need and work towards a greater good to create a better world. We are tireless in our efforts to feed the hungry and clothe the poor. We help those seeking help in a time of need. Our organization serves people of all races, creeds, and religions. We do not discriminate. We merely support our fellow citizens, and serve as a guiding light. 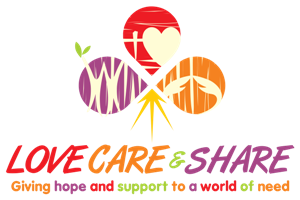 Love Care & Share will offer its resources regardless of economic status or affiliation.